Vertical Influences is a contemporary ice skating double-bill. Through a unique virtuosity, “Influences” explores human inter-relations and the the link between an individual and its group. Leadership, bullying, individualism, rivalry… We see a group living obvious tensions but evolving toward a new harmony. In “Vertical”, a superb group of five liberated individuals challenges the audience with a unique speed vertigo. This rhythmical choreographic essay explores a new relation between spectators and performance: the audience is seated on the ice surface in order to witness intensely a skating that moves a lot of air… literally. Vertical Influences was presented more than 130 times: theaters doing off-site programming, integration in arts festivals, creation of a special attractions for ice rinks, etc. With its own equipment, the company transforms standard ice-hockey into pop-up theaters. Those ice rinks discretely exist in all cities. Le Patin Libre can also use outdoor ice rinks or install temporary ice anywhere. In all cases, a well rehearsed technical expertise allows ultra-fast load-ins minimizing the impact of our presentations on the schedule of the rinks our presenters collaborate with. Le Patin Libre is a contemporary ice skating company from Montreal. 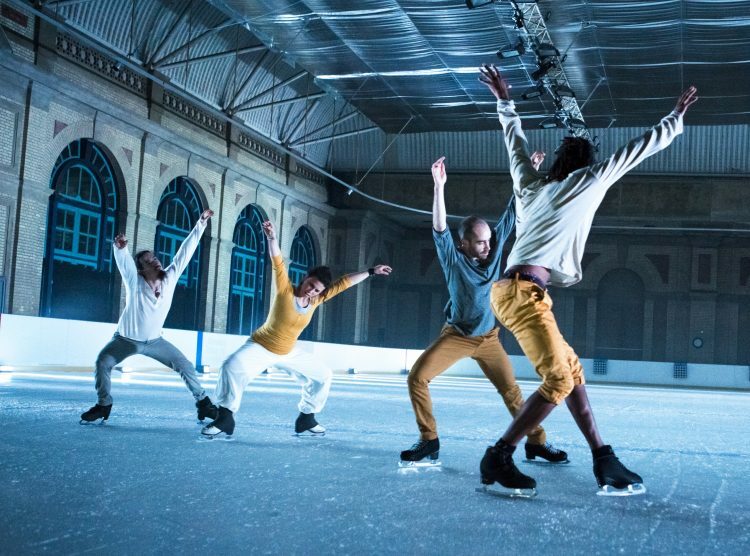 This performance art uses ice, skates and glide as medias. Some people see our work as a form of “contemporary dance on ice”. The first collective was founded in 2005 by ex high-level figure skaters. They regrouped with the intention of transforming their athleticism into a mean of free expression. Far from sparkles, stereotypes and champions’ demos, the creations of Le Patin Libre propose real works of art exploiting the amazing choreographic and theatrical potential of glide.